Blue boxes represent decision nodes; gray boxes represent end points and outcomes. For each strategy decision node (vaccinate children <5 years only, vaccinate children <5 years and those ≥5 years at high risk, vaccinate none), the same branching applies as at the “vaccinate all” node. Further branching is limited in this figure for clarity. The numbers 1 and 2 in the boxes indicate that the information in the associated box is repeated at each of the light-blue rectangular boxes with the same number. A, Offering influenza vaccine to all patients vs no patients. B, Offering influenza vaccine to all patients vs those younger than 5 years and those 5 years or older at high risk. C, Offering influenza vaccine to all patients vs only those younger than 5 years. Ovals represent 95% CIs. Incremental effectiveness is measured as number of cases averted. WTP indicates willingness to pay. Centers for Disease Control and Prevention. National Flu vaccination coverage, United States, 2015-16 influenza season. https://www.cdc.gov/flu/fluvaxview/coverage-1516estimates.htm. Updated September 29, 2016. Accessed August 2, 2017. Centers for Disease Control and Prevention. Prevention and control of influenza with vaccines: recommendations of the Advisory Committee on Immunization Practices—United States, 2013-2014. https://www.cdc.gov/mmwr/preview/mmwrhtml/rr6207a1.htm. Accessed September 25, 2017. Centers for Disease Control and Prevention. Flu vaccination coverage, United States 2015-16 influenza season. https://www.cdc.gov/flu/fluvaxview/coverage-1516estimates.htm. Accessed January 15, 2017. Centers for Disease Control and Prevention. Pediatric/VFC vaccine price list. https://www.cdc.gov/vaccines/programs/vfc/awardees/vaccine-management/price-list/index.html. Updated September 1, 2017. Accessed September 3, 2017. Bureau of Labor Statistics, US Dept of Labor. May 2016 national occupational employment and wage estimates: United States. https://www.bls.gov/oes/current/oes_nat.htm#00-0000. Accessed June 10, 2017. Centers for Disease Control and Prevention. ACIP votes down use of LAIV for 2016-2017 flu season. https://www.cdc.gov/media/releases/2016/s0622-laiv-flu.html. Published June 22, 2016. Accessed March 22, 2017. Question Is routinely offering influenza vaccine in the pediatric emergency department setting cost-effective? Findings Offering influenza vaccine to all eligible patients in the pediatric emergency department was more cost-effective than offering the vaccine to a subset of patients, as well as more cost-effective than not offering influenza vaccine at all in this setting. The cost per case of influenza averted was $114.45 for this strategy, saving an estimated $33.51 per patient compared with not offering the vaccine. Meaning Routine influenza vaccination in the pediatric emergency department may be cost-effective from a societal perspective. Importance Influenza is a significant public health burden, causing morbidity and mortality in children, yet vaccination rates remain low. Vaccination in the pediatric emergency department (PED) setting may be beneficial but, to date, has not been proven to be cost-effective. Objective To compare the cost-effectiveness of 4 strategies for PED-based influenza vaccine: offering vaccine to all patients, only to patients younger than 5 years, only to high-risk patients (all ages), or to no patients. Design, Setting, and Participants Using commercial decision analysis software, a cost-effectiveness analysis was performed from January 1, 2016, to June 1, 2017, to compare influenza vaccine strategies at a tertiary, urban, freestanding PED with an estimated 60 000 visits per year among a hypothetical cohort of children visiting the above PED during influenza season. Sensitivity analyses estimated the effect of uncertainties across a variety of input variables (eg, influenza prevalence, vaccine price and effectiveness, and costs of complications). Main Outcomes and Measures The primary outcomes were cost and incremental cost-effectiveness ratio in dollars per influenza case averted. Secondary outcomes included total societal costs, hospitalizations and deaths averted, and quality-adjusted life-years gained. Results Offering influenza vaccine to all eligible patients has the lowest cost, at $114.45 (95% CI, $55.48-$245.45) per case of influenza averted. This strategy saves $33.51 (95% CI, $18-$62) per case averted compared with no vaccination, and averages 27 fewer cases of influenza per 1000 patients. Offering vaccine to all patients resulted in 0.72 days (95% CI, 0.18-1.78 days) of quality-adjusted life-years lost, whereas offering to none resulted in 0.91 days (95% CI, 0.25-2.2 days) of quality-adjusted life-years lost. In sensitivity analyses, this strategy remains robustly cost-effective across a wide range of assumptions. In addition to being the most cost-effective strategy regardless of age or risk status, routine vaccination in the PED results in a net societal monetary benefit under many circumstances. In Monte Carlo analysis, offering vaccine to all patients was superior to other strategies in at least 99.8% of cases. Conclusions and Relevance Although few PEDs routinely offer influenza vaccination, doing so appears to be cost-effective, with the potential to significantly reduce the economic (and patient) burden of pediatric influenza. Influenza vaccine is typically given in the outpatient setting; however, the emergency department (ED) may represent a potential site to improve rates of vaccination, which vary, with recent estimates of 20% to 72% of the pediatric population receiving the influenza vaccine annually.1,2,10-12,21 An estimated 59% of eligible children 6 months to 17 years of age received the influenza vaccine in the 2016-2017 influenza season.22 Patterson et al23 demonstrated that offering influenza vaccine to adults in the ED can be cost-effective. 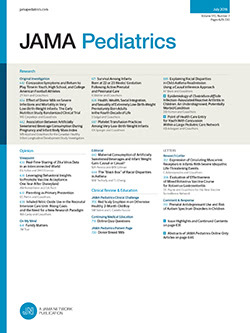 Pappano et al24 found that offering influenza vaccine to families in the pediatric ED (PED) increased overall vaccination rates, which was confirmed in a previous study.25 Unfortunately, because influenza vaccine programs in the PED setting have not been widely studied, there is little information regarding the cost-effectiveness of routine influenza vaccine in this setting. We hypothesized that offering influenza vaccine in the PED would be cost-effective, which could help influence administrators and clinicians to develop vaccination programs that would increase rates of vaccination. Our objective in this study was to evaluate the cost-effectiveness of different strategies for offering influenza vaccine in the PED. This study analyzed a hypothetical cohort of children presenting to a tertiary, urban, freestanding pediatric hospital ED. Using commercial decision analysis software (TreeAge Pro 2016, TreeAge Software Inc), we created a mathematical prediction model (decision tree) to compare the following 4 strategies of providing influenza vaccine in the PED: not offering vaccine to any patients in the PED, offering vaccine only to patients under 5 years of age, offering vaccine to all patients who qualify as high-risk (those younger than 5 years of age and those older than 5 years of age with conditions placing them at increased risk for complications of influenza as defined by the Centers for Disease Control and Prevention Advisory Committee on Immunization Practices 2013 guidelines26), and offering vaccine to all patients in the PED. Age cutoffs (<5 years and ≥5 years) were determined based on the Centers for Disease Control and Prevention Advisory Committee on Immunization Practices guidelines that children younger than 5 years of age are at increased risk for complications from influenza. We performed a thorough literature review to estimate costs and outcomes for influenza-related illness with a time horizon of 1 influenza season, similar to a previous study.10Figure 1 shows a simplified version of the decision tree. Input parameters for probabilities, costs, and outcomes are presented in Table 1.1,2,4,6-13,16,21,22,25-49 Findings are expressed in terms of estimated cost in 2015 US dollars, cases of influenza averted, hospitalizations and deaths averted, quality-adjusted life-years (QALYs) saved, cost per QALY saved, and incremental cost-effectiveness ratios (ICERs) (additional costs per case, hospitalization, death averted, or QALY saved). For each category, we included an estimated 95% CI. Outcomes included in the decision model included no illness, influenza without medical attention, influenza with attention sought in the primary medical home or ED, presumed outpatient complications of influenza including acute otitis media and pneumonia, hospitalizations (with and without long-term sequelae), and death. Probabilities of complications were derived from previously published literature (Table 11,2,4,6-13,16,21,22,25-49), with ranges given to account for variation (both seasonal and among sources).1-4,6-12,21,31-35 We also included potential adverse effects of receiving the influenza vaccine (fever, local site reaction, and anaphylaxis).10,41 Estimates of baseline rates of vaccination,1,2,16,21,27 vaccine effectiveness,1,2,10,21,28-30 the proportion of patients in the PED who were eligible for vaccination (defined as patients not previously vaccinated; with Emergency Severity Index triage level 3, 4, or 5; and without fever [a body temperature of >38.9°C] as a proxy for moderate to severe illness),25,36 and proportion of patients or parents likely to accept the influenza vaccine in the PED25,37 were included for each strategy, again with ranges to account for seasonal and literature variation. Baseline estimates used are a weighted mean of the individual estimates from each study. Costs included direct medical costs (direct vaccine costs as published by the Centers for Disease Control and Prevention42 and as purchased by our own institution, physician and ED visits, over-the-counter medications, and hospitalizations) as well as indirect costs (parent time, parent lost wages, and patient lost wages in the event of death or long-term sequelae).8,10,11,39,41,44,48,49 A time component was included to assess the number of patients who, after refusing influenza vaccine in the PED, may go on to become vaccinated in another setting within a given amount of time (within 1 week, 1 month, 2 months, or within the next 6 months) prior to then contracting influenza. Whenever possible, factors were stratified according to risk status and age (eg, vaccination rates for those <5 years vs ≥5 years and effectiveness for high-risk vs standard-risk patients) to account for the interaction of these factors. The primary outcomes evaluated in this study were cost, effectiveness (cases averted), and cost-effectiveness (cost per case averted) for each strategy. The strategies were ranked according to these parameters and strategies were then compared in terms of cost, effectiveness, and ICER (additional cost in dollars per additional case averted). Secondary outcomes included total societal costs, hospitalizations, deaths, and QALYs gained, as well as ICER in dollars per hospitalization or death averted and QALY gained. Loss of QALYs associated with various outcomes was derived from the literature.10,52 Probabilistic sensitivity and Monte Carlo analyses (using 10 000 simulated event combinations) were performed to estimate the effect of uncertainties, with the effect on primary and secondary outcomes examined across a range of values for each variable (Table 11,2,4,6-13,16,21,22,25-49). Threshold analyses were performed to determine the point at which changes to certain input parameters (ie, influenza prevalence, baseline vaccination rates, vaccine effectiveness, eligibility and acceptance of influenza vaccine in the PED, and cost of vaccine and administration) resulted in a substantial change in the recommended strategy. The strategy of offering the influenza vaccine to all patients was the most cost-effective strategy from a societal standpoint. Offering the influenza vaccine to all patients in the PED resulted in a net societal cost of $103.69 (95% CI, $44.99-$243.98) per patient or $114.45 (95% CI, $55.48-$245.45) per case of influenza averted, which saved an estimated $33.51 (95% CI, $18-$62) per case averted compared with not offering the influenza vaccine at all (the least cost-effective strategy). The ICER for cost per additional case of influenza averted was $1030.11 (95% CI, $280.15-$4696.33) when compared with offering no influenza vaccine. Overall costs and outcomes for each strategy, as well as comparisons between strategies, are shown in Table 2. We compared the costs, cases of influenza averted, hospitalizations averted, deaths averted, and QALYs gained between strategies (Table 2). The least cost-effective strategy was not offering the vaccine at all. When directly comparing the most and least effective strategies (offering to all patients vs offering to no patients), offering the vaccine to all patients resulted in an additional 27 cases (range, 11-40) of influenza averted per 1000 patients. The strategy of offering the vaccine to all patients also resulted in 0.09 (range, 0.01-0.45) fewer hospitalizations per 1000 patients: 0.34 (95% CI, 0.02-1.63) hospitalizations per 1000 patients if offered to all patients, compared with 0.43 (95% CI, 0.03-2.15) hospitalizations per 1000 patients for offering the vaccine to no patients. Offering the vaccine to all patients resulted in an additional 0.18 days (range, 0.06-0.37 days) of QALY gained. The ICER for cost per QALY gained when comparing the 2 strategies was $55 258 (95% CI, $10 355-$327 294). Offering the vaccine to all patients incurred an additional 13 adverse effects (range, 3-20) such as fever, local site reaction, or (rarely) anaphylaxis per 10 000 patients. In 1-way sensitivity analyses, ICERs were sensitive to changes in influenza prevalence, baseline rates of vaccination, vaccine effectiveness, proportion of patients in the PED eligible to receive influenza vaccine, acceptance of influenza vaccine in the PED, and vaccine and administration cost in the PED. However, across the most likely range for each of these variables, the strategy of offering influenza vaccine to all patients in the PED remains the most cost-effective strategy more than 99% of the time. Probabilistic sensitivity analyses provided 95% CIs for projected costs and events averted. Figure 2 demonstrates the likely incremental cost-effectiveness (additional cost per case of influenza averted) in Monte Carlo analysis when comparing the dominant strategy (offering the vaccine to all patients) with other strategies, with offering the vaccine to all patients being consistently less costly and more effective. Threshold analyses indicate that offering the influenza vaccine to all patients is not only the most cost-effective strategy but results in net societal monetary benefit in many scenarios (Table 3). Only in instances when the cost of administration exceeds $22.82 per dose, or when the cost of the vaccine itself exceeds $39.82 per dose (both well outside anticipated ranges) did the cost of vaccination outweigh net monetary benefit. Like many cost-effectiveness studies, we used a societal perspective, which, while beneficial in making policy decisions, may be less useful to individual locations determining whether to start an influenza vaccine program. We based this study in a PED, which is a common site for pediatric emergency care; however, many children receive emergency care in a non-PED setting. Given the previous studies regarding the cost-effectiveness of the influenza vaccine in the adult ED,23 we did not consider other ED locations in this analysis. In addition, our estimates of patient eligibility and parent acceptance of the influenza vaccine in the PED are based on data from a single, freestanding, urban, tertiary pediatric hospital and may vary in other settings. Other studies suggest slightly lower rates of eligibility for and parental acceptance of the influenza vaccine in the PED.36,37 We attempted to accommodate for such variance by providing broad ranges for eligibility and acceptance in the sensitivity analysis (Table 3). The sensitivity of our results to such factors as mentioned above (eg, baseline rates of influenza, baseline rates of vaccination) indicates that cost-effectiveness can vary significantly from season to season based on combinations of these factors. As a result, when there is low prevalence of influenza and low vaccine effectiveness, cost-effectiveness may be reduced; we attempted to account for such possibilities by using a probabilistic (Monte Carlo) sensitivity analysis. However, it is difficult to determine when such an event may occur, which may result in changes in the preferences of individual sites implementing an influenza vaccine program. In addition, threshold values for influenza prevalence to provide net monetary benefit were greater than baseline rates we estimated (Table 11,2,4,6-13,16,21,22,25-49); however, the estimated prevalence probabilities were well within the ranges that could produce net monetary benefit (Table 3). Although our model was most sensitive to vaccine costs, the estimated cost of vaccine (≤$23.70) was always under the limit for net monetary benefit ($39.82). It therefore seems unlikely that vaccine costs would ever outweigh the societal benefit of providing the influenza vaccine. As noted by Prosser et al,10 the sensitivity of our results to cost also highlights the point that it is preferable to administer the influenza vaccine in a manner that results in the lowest possible cost and time of administration. We believe that a PED-based influenza vaccine program would be of substantial benefit in this manner, as a patient presenting to the ED for other reasons does not have to incur any further time or medical visit costs to obtain the influenza vaccine, and because administrative time cost should be relatively low in this setting. During the implementation of an influenza vaccine program in our center, we found that administration of the influenza vaccine required approximately 5 minutes of nursing time per patient, and therefore did not significantly change patient flow or staffing needs.25 Although start-up costs and storage expenses may be a concern for smaller or community-based PEDs, we found that these costs were relatively minimal in our center, which already maintained a supply of influenza vaccine for other locations and settings, and posit that the overall societal benefit and cost-effectiveness may outweigh any potential losses by an individual center. Routinely offering the influenza vaccine to all eligible patients in the PED was the most cost-effective of the strategies we assessed. Further studies on the impact of herd immunity on rates of influenza may be of benefit to further clarify the cost-effectiveness of the influenza vaccine in the PED. Corresponding Author: Rebecca J. Hart, MD, Division of Pediatric Emergency Medicine, Department of Pediatrics, University of Louisville, 571 S Floyd St, Ste 412, Louisville, KY 40202 (becca.hart@louisville.edu). Accepted for Publication: September 6, 2017. Author Contributions: Dr Hart had full access to all the data in the study and takes responsibility for the integrity of the data and the accuracy of the data analysis. Study concept and design: Hart, Stevenson, Smith, Cross. Acquisition, analysis, or interpretation of data: Hart, LaJoie. Drafting of the manuscript: Hart. Statistical analysis: Hart, LaJoie, Cross. Administrative, technical, or material support: Cross. Study supervision: Stevenson, LaJoie, Cross.